Samsung took a huge gamble on the Galaxy S8 when it went all in on its virtual assistant and included a dedicated button to launch Bixby. Unfortunately for consumers, Bixby wasn’t ready. That, unfortunately, left the Bixby button as merely a quick launch for Bixby Home, which housed some basic information from your calendar and news feed. There were some workarounds but Samsung kept responding to break the method used to remap the button. It seems that Samsung may now finally be listening as a new update finally allows the Bixby button to be officially disabled. Unfortunately, it doesn’t go any further than that so you’re left with an even more useless button. Hopefully, Samsung takes this one step further and allow the button to be completely remapped to launch an app of the users choice like Google Assistant. SamMobile reports the update isn’t appearing for everyone just yet so keep checking in Settings to see when it finally trickles down to your device. Samsung is finally allowing us to disable the Bixby button, to an extent. The latest Bixby updates add a new toggle which lets you decide whether or not Bixby Home should be launched when the dedicated button is pressed. This can also be configured from the Bixby settings menu. To be clear, Bixby Home isn’t going anywhere. You can still access it by swiping left from the home screen. 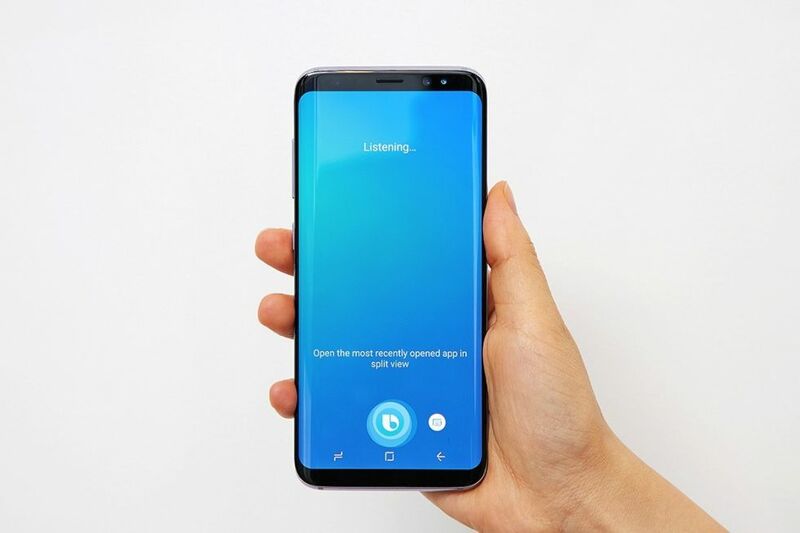 The Bixby button will also work for summoning Bixby Voice. Just press and hold like you already do. Are you happy that Samsung is finally giving us this option? Share your thoughts with us in the comments below. Update: The implementation appears to be random right now. Some of our devices have got this toggle after the update. Some haven’t. Perhaps it will take more time for this to be available on all Galaxy S8 and Galaxy Note 8 units.